Dr. Liu holds an advanced MBA (with specializations in marketing and finance) and a PhD in Marketing from the University of Western Australia. Her research interests centre on consumer experience, advertising, branding, international strategies and cross-cultural consumer and tourist studies. 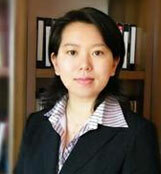 Dr. Liu has published dozens of refereed journal articles, book chapters, and conference proceedings. Prior to her academic career, she had extensive experience in the area of international trade and marketing.